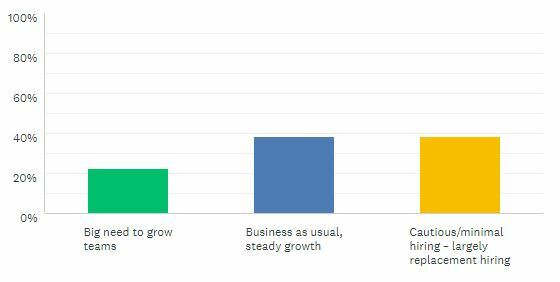 For a bit of fun; we’ve been running a survey over the last few months to gather people’s thoughts on the future of Indirect Tax in the UK; thanks to everyone who participated. The winner of the prize draw for £100 of Amazon vouchers was Bob Fitzsimmons – Congratulations Bob! 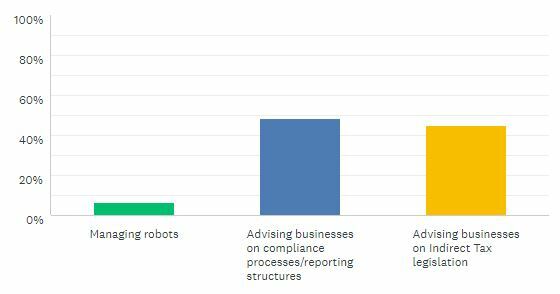 BLT comment – the overwhelming majority view that robots will be running the VAT return process is no great surprise, but will be of concern to those Indirect Tax specialists who have carved out their careers in return completion roles. For such, the advice would be to upskill your experience so that you feel completely on top of the technological advances, so that your role ends up as management of the robots. If technology is not your thing, then that’s a bigger concern, and may prompt thoughts of career change. BLT comment – equal weighting given to views that an Indirect Tax adviser will be either advising on compliance processes/reporting structures vs. advising on the legislation. So pretty much as it is now! Q3. If you were to advise the professional services firms on their recruitment strategy for the future, what would you suggest should be the focus? BLT comment – hiring current Indirect Tax specialists and graduates and training them up in technology the most favoured route. 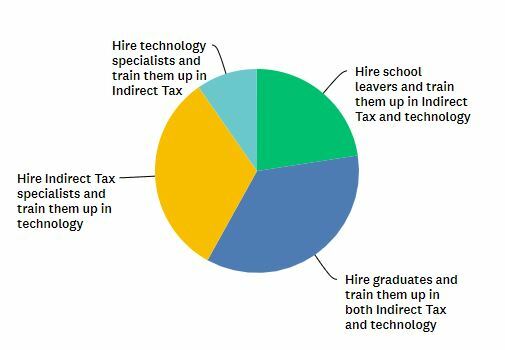 Surprisingly few opting for hiring technology specialists with no Indirect Tax technical experience, suggesting that the Indirect Tax world will remain a comparatively ‘closed’ community. Q4. 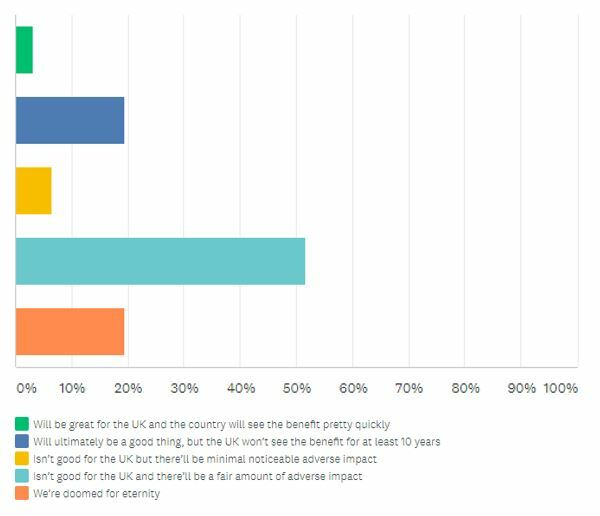 Which Indirect Tax professionals will benefit the most from Brexit? 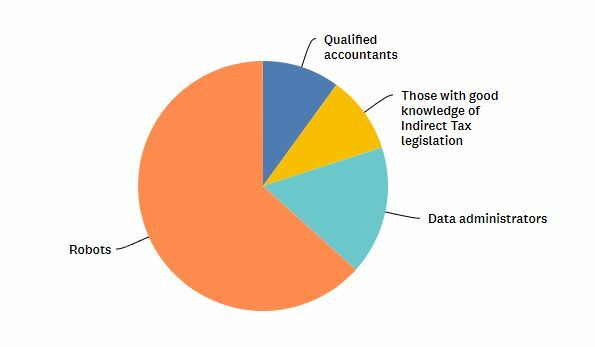 BLT comment – UK trained Indirect Tax specialists win out in the battle of who will do best out of the whole Brexit fiasco! BLT comment – well, one can confidently read into this that the bulk of the Indirect Tax population are die hard ‘Remainers’! The vast majority predicting a fair amount of adverse impact for at least ten years doesn’t exactly translate into vast amounts of confidence, particularly when pretty much the same number believe that we’re doomed for eternity as those voting for Brexit being a good thing ultimately! 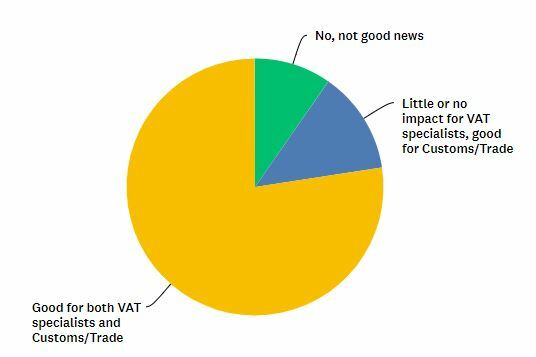 BLT comment – regardless of people’s personal opinions, Brexit is overwhelmingly voted for as good news for Indirect Tax specialists. Q7. And what do you predict will be the immediate impact (i.e. first 18 months) on the UK Indirect Tax job market in the professional services firms once the UK has left the EU? Q8. And on the ‘in-house’ Indirect Tax job market in the UK in the first 18 months post Brexit? 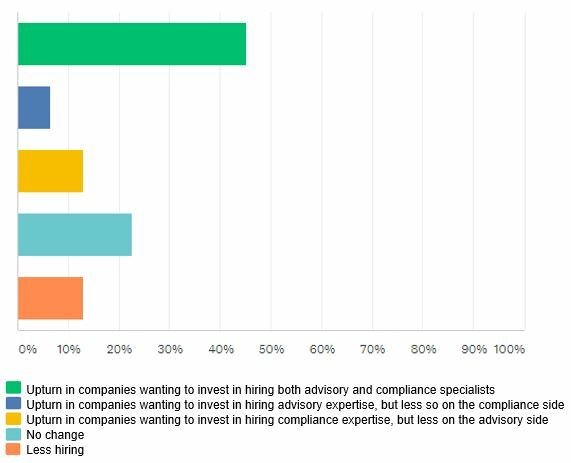 BLT comment – As for the in-house world, big upturn predicted in the need for both advisory and compliance specialists – fingers crossed that that rings true!